All Canadian Self Storage, providing the best self-storage services, features, and true value for the dollar since 1997. All Canadian Self Storage has been and continues to be an innovator and leader in the self storage industry. 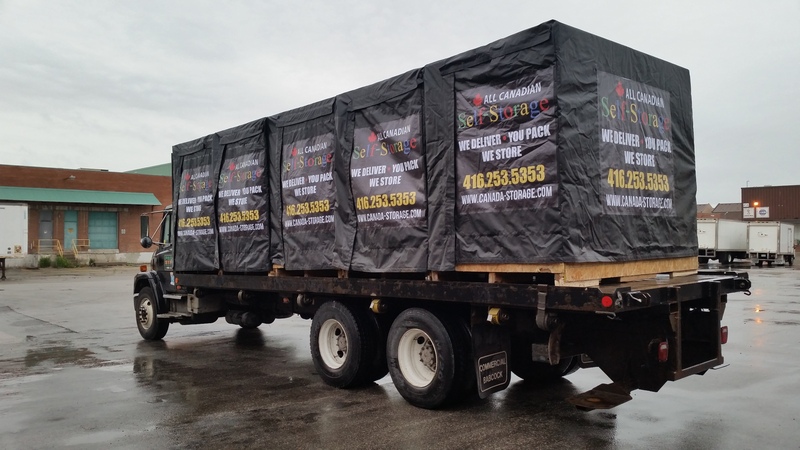 Our company is the first to offer mobile storage in Ontario and continues to be the most popular. All Canadian Self Storage offered the first (2006) and only drive thru self storage facility in Ontario and now offers a second location (2013). We are the first public storage facility to offer our customers the convenience of $25.00 rental units, and we are the largest self-storage U-Haul dealer in Canada. Our Mobile self-storage is when we bring the storage unit to you! Instead of packing your belongings and renting a truck, we deliver a storage unit to you that you can then fill at your convenience. Not convenient enough? You also have the option of us packing it for you! Once everything is safely tucked away in the unit, we’ll drive it back to one of our secure storage facilities – and when you’re ready to unload the storage unit, we’ll bring it back to you. We are able to deliver up to five containers in a single trip, with each container being large enough for storing the contents of an average room. The wide, user-friendly doors help to make the packing process simple and efficient. RESA Members: Log into MORA, go to the exclusive deals page to get *One Free Delivery when you rent 1-5 containers. No Cash Value. Limit one per customer for new rentals. May not be used with other discounts. GTA Only.